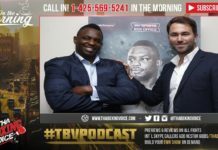 Home Podcasts Boxing 😬AJ vs Wilder Negotiations👍Jacobs vs Sulecki PREVIEW👎Broner NUMBERS👀& More! 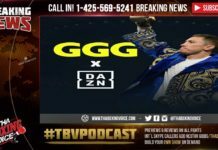 Anthony Joshua vs Deontay Wilder negotiations are heating up with a Shelly Finkel response to Eddie Hearn calling the offer a PR stunt. We will breakdown and update you on the latest of this saga. Daniel Jacobs vs Maciej Sulecki breakdown and preview. Who will win this middleweight clash? 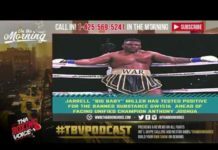 Jarrell Miller vs Johann Duhaupas breakdown and preview. Will Miller get an AJ matchup after this? Adrien Broner vs Jessie Vargas did an average of 782K viewers on their telecast. Broner again showing strong tv drawing power.